Veterans and Military Resource Center | Jacksonville University in Jacksonville, Fla.
Our university is proud to be one of the most military friendly campuses in the United States. We value our military students not only for their service to our country, but also the leadership, life experience and maturity they bring to the educational environment on our campus. The Jacksonville University Veterans and Military Resource Center provides support and assistance to our many military and veteran students. Under the leadership of the Director of the VMRC, Mike Mitchell, we assist prospective and current students with admission, transition, academic success, and student involvement. We help students leverage University resources like Admissions, Advising, the Registrar, the Controller, Student Financial Services, the Career Resource Center, the Counseling Center, the Student Solutions Center, and others. Welcome to the Jacksonville University Veterans and Military Resource Center. To honor our commitment to our military community, we have implemented multiple initiatives to enhance our support for military students. 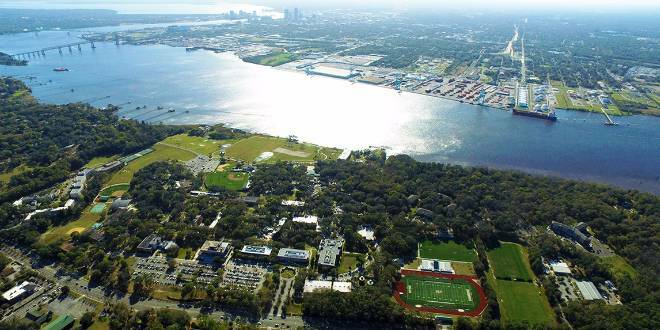 Our comprehensive approach to assimilating our military into the Jacksonville University community significantly enhances the military student experience. We see the incredible value that veterans' leadership, life experience and maturity bring to the educational environment on our campus. The University's traditional students benefit greatly from their veteran student colleagues. Our designations as a Military Times Best for Vets Colleges; G.I. Jobs Military Friendly School; U.S. News & World Report Best Colleges for Veterans; Military Advanced Education & Transition Top School for Military/Veteran Education; and SR Education Group Top Military Friendly Online College are emblematic of the University's commitment to the military. We recognize each student has unique needs and goals and our University team will partner with you to help achieve your educational and career goals. This team includes all aspects of campus life - academics, transition assistance, orientation, tutoring, counseling and campus resources. 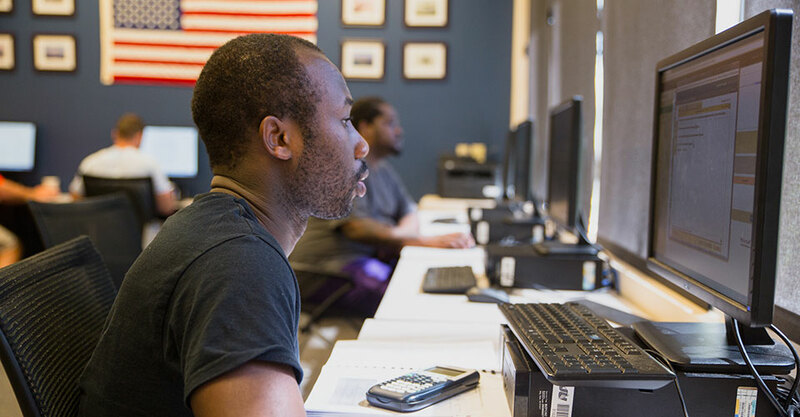 The University's Career Resource Center has developed and implemented a unique Veteran Career Track that leverages the experience of our military students as they seek meaningful careers. The Center also coordinates the employment of veterans for internships and work study opportunities. Our vision of preparing each student for life-long success in learning, achieving, leading and serving permeates every element of the University.